When Queen Elizabeth II -- now 84 -- passes on, Prince Charles will finally become king. With a history of active engagement in the built environment, will King Charles become a silent monarch, as some have claimed? David Sucher hopes not. Prince Charles offers a valuable voice in raising issues around the built environment by conversation and by action: his book A Vision of Britain; the development of Poundbury, England as an illustration of new urbanism; his own Foundation for the Built Environment and the Prince's Rainforests Project; and his many public statements. Even if one disagrees with his views, he has been working the problem. But for one such as myself who is in general agreement with his views, one wonders about his future. Image courtesy of Flickr user Downing Street. 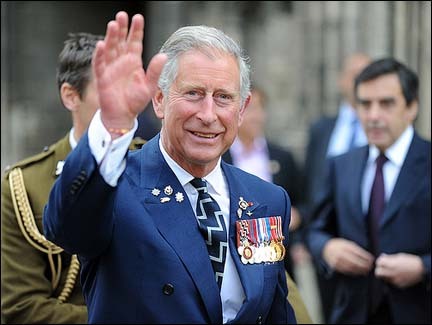 It seems to me that Charles' voice will be silenced by necessity when and if he becomes King. Charles' activism is not appropriate for a King, unless 350 years of British history will be overturned. Some may claim that his environmental work is non-partisan. But that assumes that reasonable people can never disagree and that there is only one environmental solution. That's not so, of course, and a future Government can be very green and yet at odds with the King's own greenness. Even his supporters agree, and the line has been "The Prince now speaks as Prince. It will be different when he is King." And of course that is the problem. What is a well-educated 21st century King with ideas of his own to do? His work in raising consciousness and showing real examples is important work. What is he to do as King? Just shut up and cut ribbons? I would miss his activism on the built environment (even though I disagree with him on some issues - insufficiently distinguishing between traditional architecture versus traditional urban planning. Conflating them creates unneeded rancor as, I believe happened, with Chelsea Barracks.) But overall he is one of the good guys. My sense is that Charles is truly and absolutely sincere; the man has beliefs. Yet the King's role is to stand for the nation and stand apart from the issues of the day and to reflect Government policy, even if he disagrees strongly. Can you imagine this King Charles backing some future Government's policy which is blatantly anti-green (by any measure.) There's a story of internal personal conflict worthy of Shakespeare. So, what then? Just mere conjecture of course but I wonder if Charles might simply take himself out of the running as future King, something like abdication. He can continue his good work now and into the future, unencumbered by arguments about his Constitutional role. Abdication (or equal) would actually enhance his global stature - think about the message of commitment for the man who gives up the British throne. I realize that asking a man whose entire life has been aimed to one goal of becoming King and at a personal level it would have to be a wrenching choice. 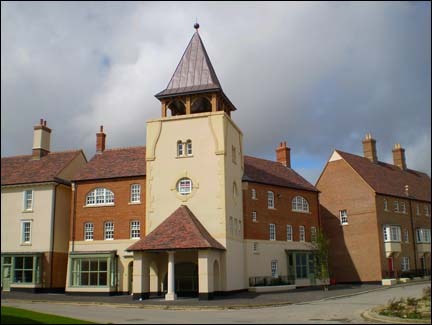 Poundbury, one of the Prince's best-known projects. Image courtesy of Zonda Grattus. But I suspect that the choice is likely to be inevitable. The Prince is now (by one of his own advisors) backed into the role of being "the people's streetfighter." Elements of the public take him at his word and now ask him to help. If he doesn't take part in this instance or another, it will be against his own impulse and he will look a hypocrite to boot. So if he does get involved, he will get increasingly involved with specific actions of the day and will, I surmise, run up against some Governmental policy in a nasty public row, which he is sure to lose. (Think of the foreign policy implications of the Iranian embassy!) That's not good for him or for the Royal Family as an institution. Now it's possible that the healthy genes of Queen Elizabeth will extend her reign a decade and offer the family a generation-hopping way out to young Prince William. But unless Charles' role is clearly stated - silence or abdication - there will be continuing confusion. Of course my personal interest is that I don't want Prince Charles' to silence to global voice so I tend that the historical and political tides will end in abdication or equivalent, whatever that may be. * With abdication, the Royal Family's "Charles problem" disappears and there is no threat to the Windsors' control of the Crown, and Charles is free to be Charles. David Sucher lives in Seattle, develops real estate and writes about the built environment at www.citycomforts.com.